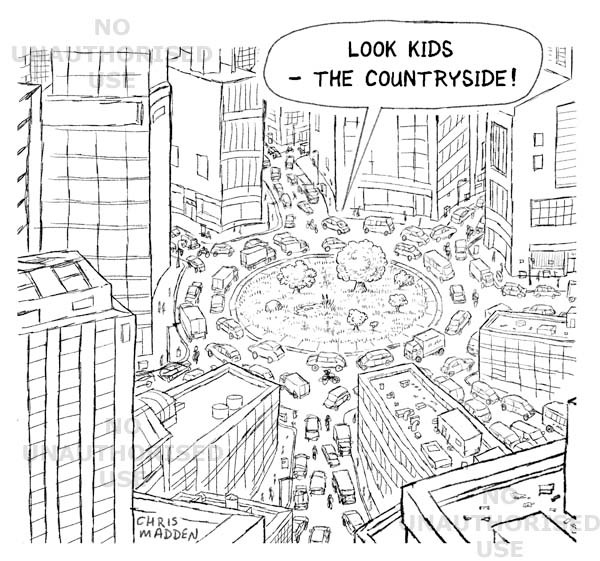 An urban landscape with no trees or grass except on a traffic roundabout. 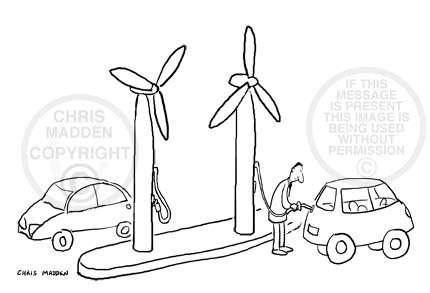 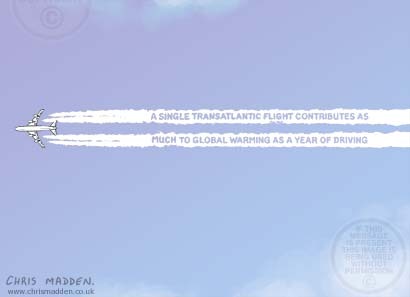 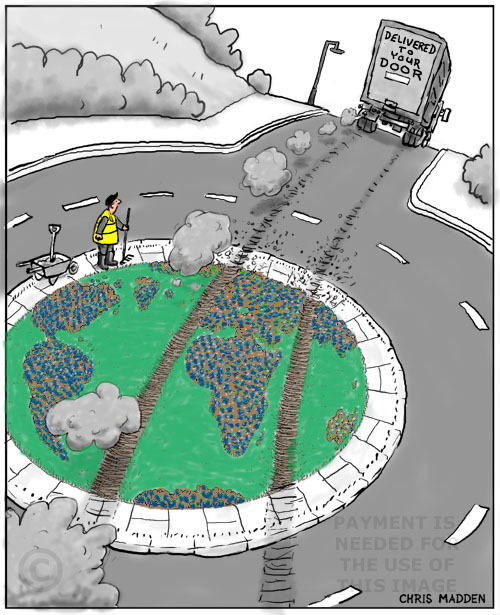 Environment cartoon – the impact of road traffic on the environment. 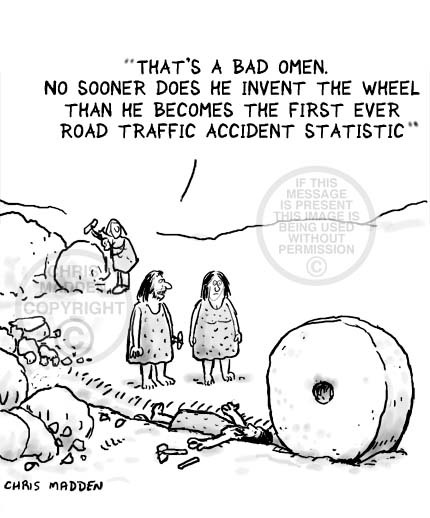 The inventor of the wheel becomes the first ever victim of a road traffic accident. 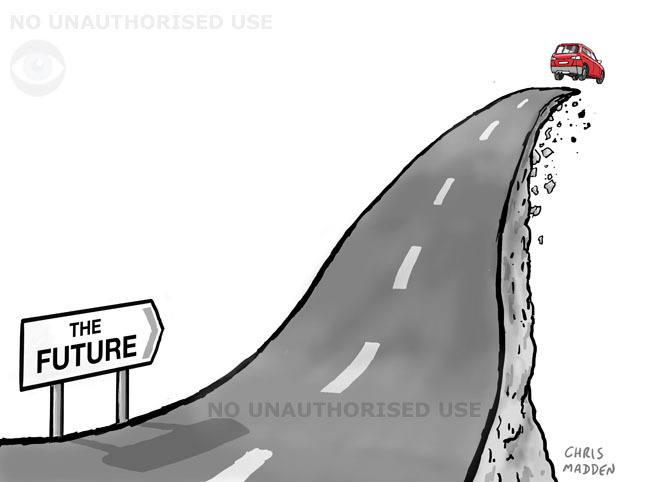 Roads as a danger to wildlife. 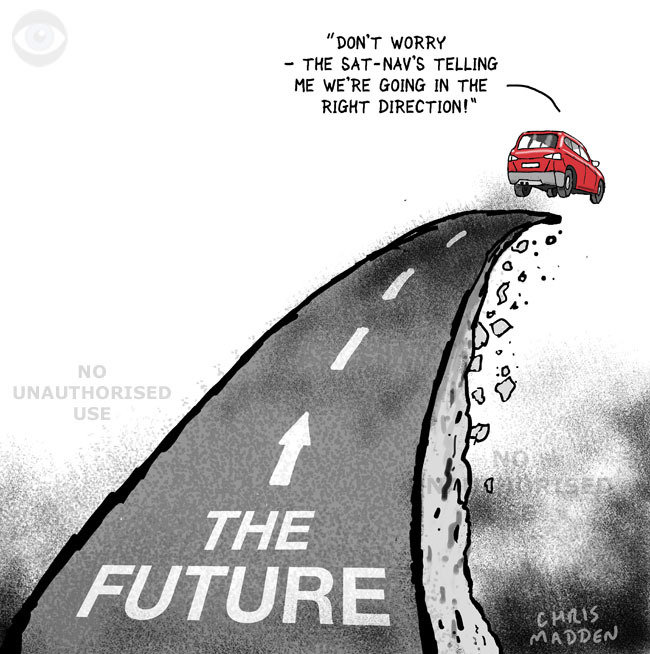 Cartoon showing a rabbit about to try to reach a lettuce patch on the far side of a busy motorway or main road. 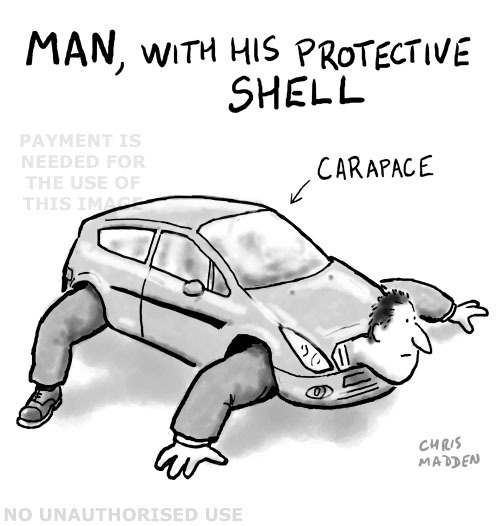 Cartoon about the psychology of motoring. 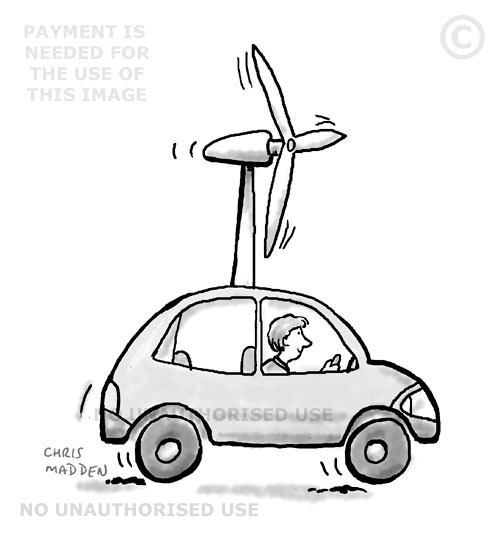 In a car a person is insulated from, and isolated from, the outside world, with the car giving a sense of protection, wellbeing and power to the driver. 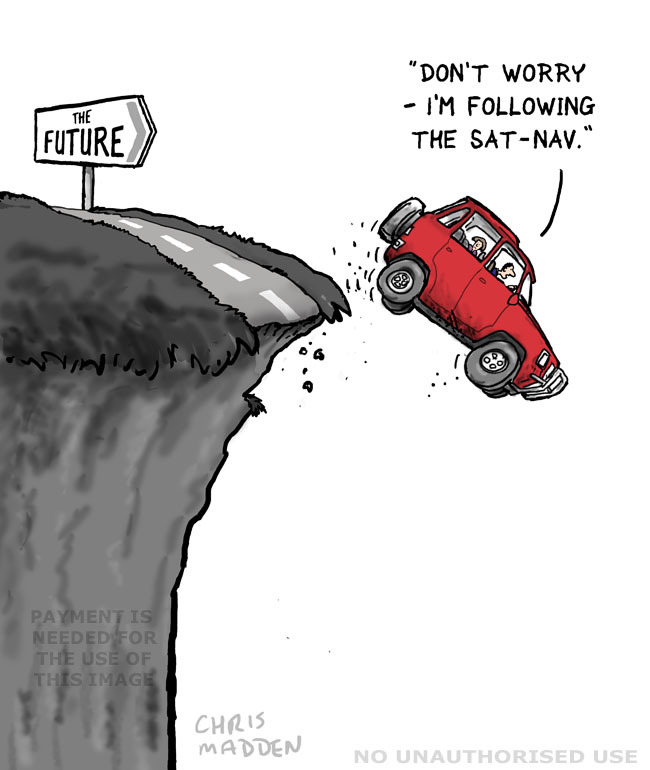 A motorway that is signposted to hell. 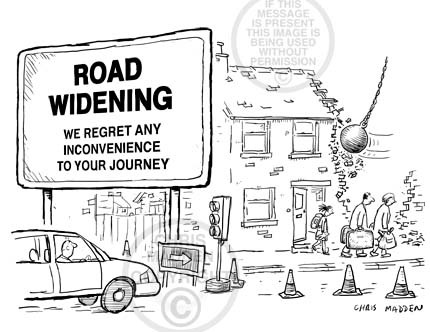 Almost anywhere that a road is built it generates extra traffic, resulting in a hellish environment. 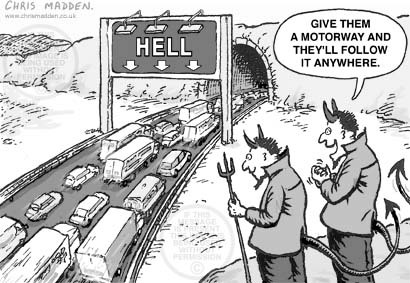 The motorway needn’t actually go to hell as in this cartoon, as the traffic generated and the consequent environmental destruction create hell on earth anyway! 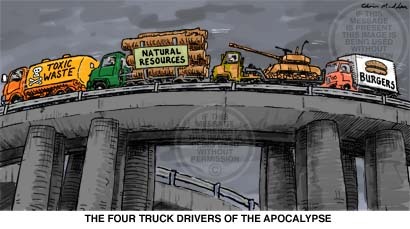 The cartoon shows the devil watching cars driving voluntarily to hell. 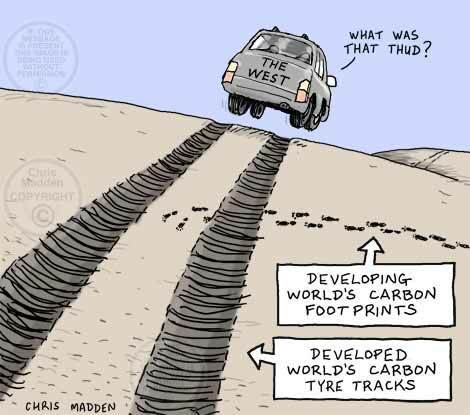 Is progress a good thing? 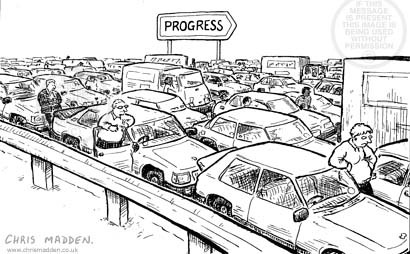 Cars at a standstill in a traffic jam symbolising progress (or the lack of it) in transport planning and the excessive use of cars as personal transport. 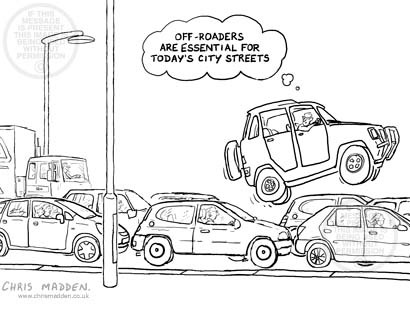 A cartoon showing the use of an suv, 4×4, four wheel drive or Chelsea tractor to beat traffic jams or road congestion.